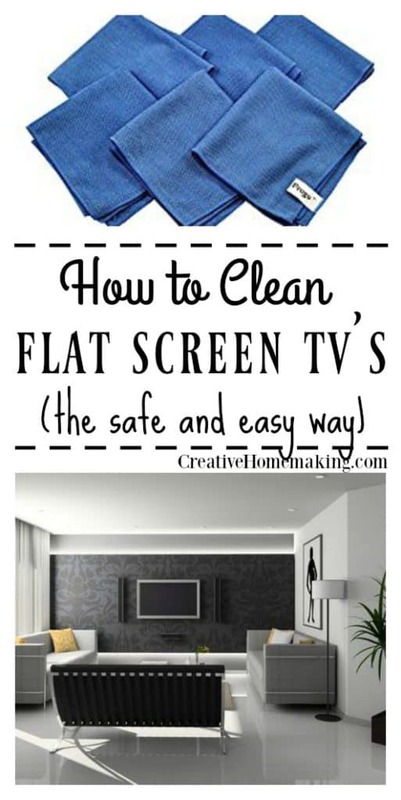 Are you wondering the best way to clean a flat screen TV? To clean old television sets, all you needed was a soft rag and a trusty bottle of Windex. Cleaning your new flat screen monitor, on the other hand, is not quite as simple. 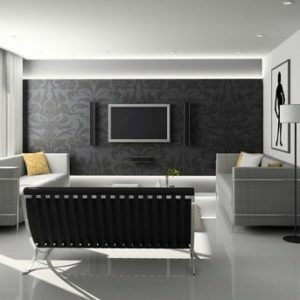 Flat screens are very sensitive, and can obtain scratches and other damage easily. Luckily the cleaning process can still be completed in just a matter of minutes – it just requires a little special care. 1. Before you begin, power your monitor or TV off. When the screen is dark, every smudge and finger stain will be visible, making it easy for you to target problem areas. 2. With a dry, very soft microfiber cloth , wipe marks in a circular motion gently. The cloths used to clean glasses or other electronic devices are another great option. 3. If your gentle rubbing has not successfully removed the stains on your screen, avoid pressing harder. Significant pressure on flat screen monitors can lead to burnt out pixels. Instead, wet your cloth slightly with distilled water. For extra stubborn stains try mixing equal parts water and white vinegar. 4. Lastly, you can clean the frame of the monitor with any multipurpose cleaner you like. Just take caution to avoid getting any cleaner on the screen itself. 1. Do not use paper products such as paper towels, toilet paper, or kleenex to wipe your screen. These fibrous materials can scratch up your display. The same goes for using your tee shirt. 2. Stay away from harsh chemicals such as ethyl alcohol, ammonia, acetone, methyl chloride and ethyl acid. These strong chemicals can be abrasive, causing a reaction with the substances your monitor is composed of. This can lead to yellowing of your screen or discoloration spots. 3. Avoid spraying liquid directly on the screen – whether it be an LCD, LED, or plasma. Moisture can seep into the screen and cause damage inside. 4. Fight the temptation to go after that dried up applesauce your toddler flung on the screen with 409 and a sponge. You will end up doing more harm than good. The key is a gentle hand, and lots of patience. Small, consistent motions will break up the stains a little bit at a time until they’ve finally disappeared. A small investment in some lint-free microfiber cloths will go a long way in protecting your expensive television.